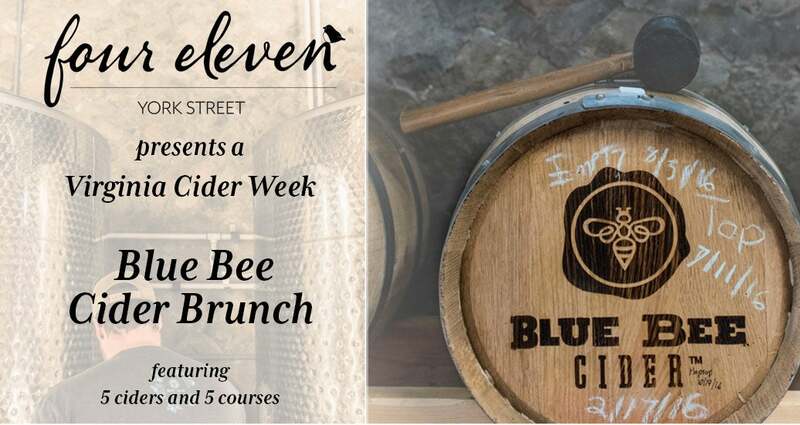 We are partnering with Blue Bee Cider to host a Cider Brunch during Virginia Cider Week! The ticket is $75 and includes 5 cider pairings and 5 courses! There will be a $25 non refundable deposit for the reservation that will be applied to the ticket price. If you do need to cancel please let us know as soon as possible.